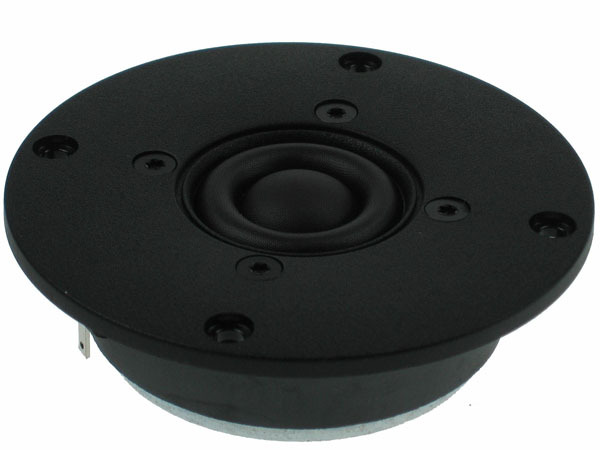 22TFF is a High Definition soft dome tweeter with a wide surround combining the high frequency dispersion of a ¾” dome with the low frequency characteristics of a 1” dome. One-piece Sonomex dome and surround allows for very tight production tolerances and high consistency, with a smooth and extended frequency response. 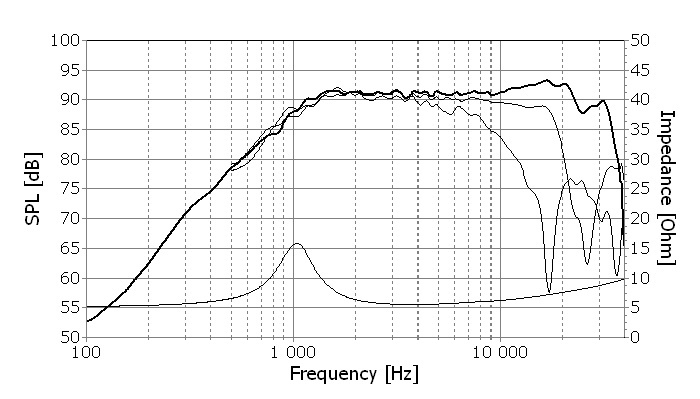 Voice coil windings immersed in magnetic fluid for increased power handling capacity and reduced compression at high power levels. The chassis is moulded from a stiff and stable glass fibre reinforced polymer material, and its front design offers optimum radiation conditions. 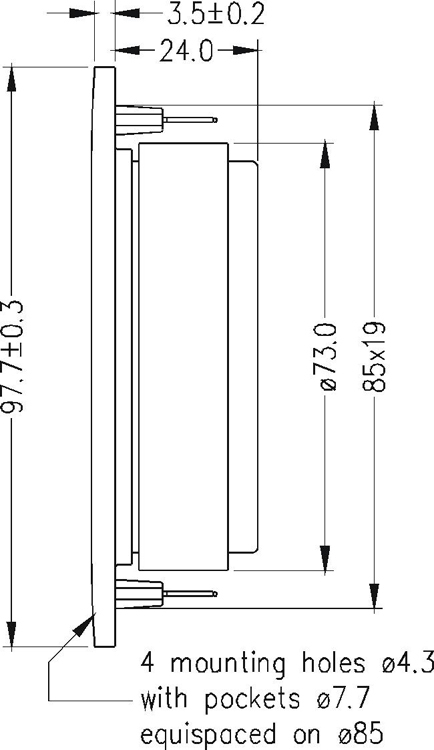 Large ferrite magnet for high efficiency, and good transient response.